Problem : What do you think? I had to turn the interior lights on to read my water temperature....after driving 10 dkm with this procedure, it was getting pretty annoying. 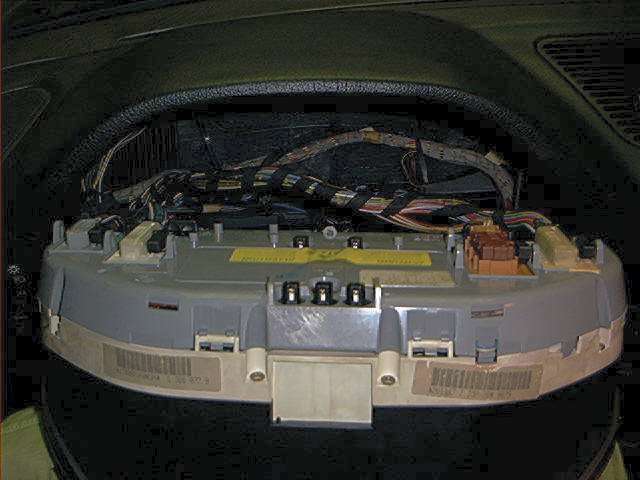 "I noticed someone put the post again to remove airbag and steering wheel to get the cluster out. DON'T. 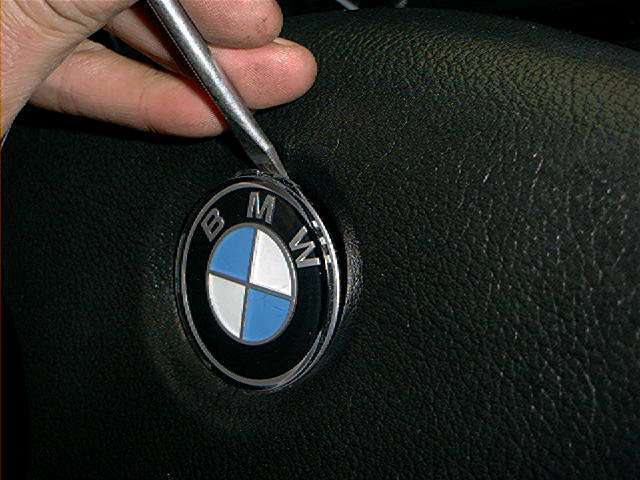 I have a 88 735i and all you need to do is remove the lower kick panel below the steering wheel so you can get access to under the dash, there is also a metal plate you have to remove. 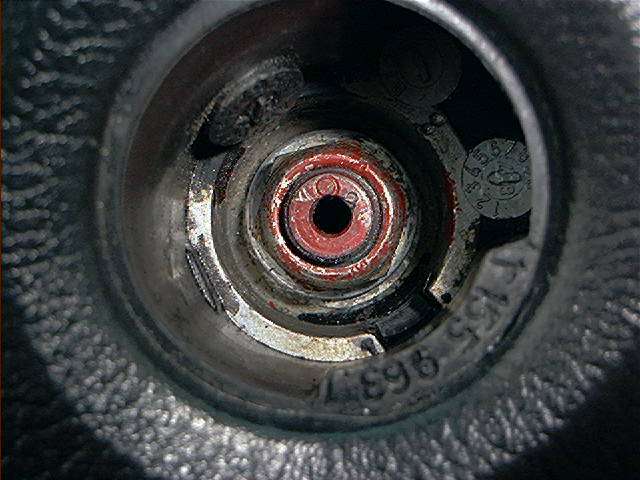 Follow the steering shaft down and you will find two bolts holding a U bracket which hold the shaft up. 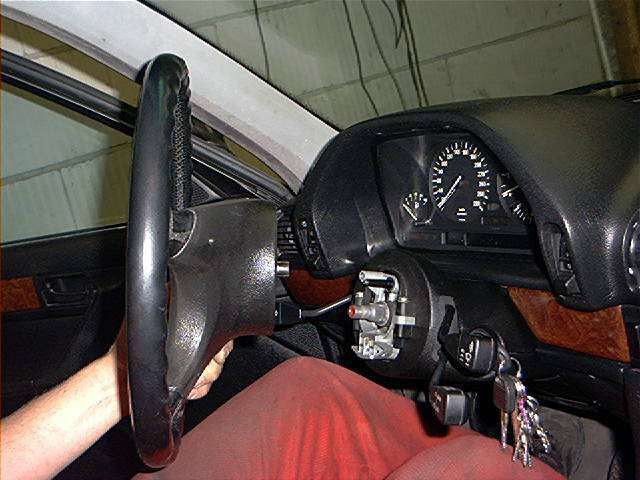 Remove them bolts and the whole steering wheel will pivot down. TA DA. 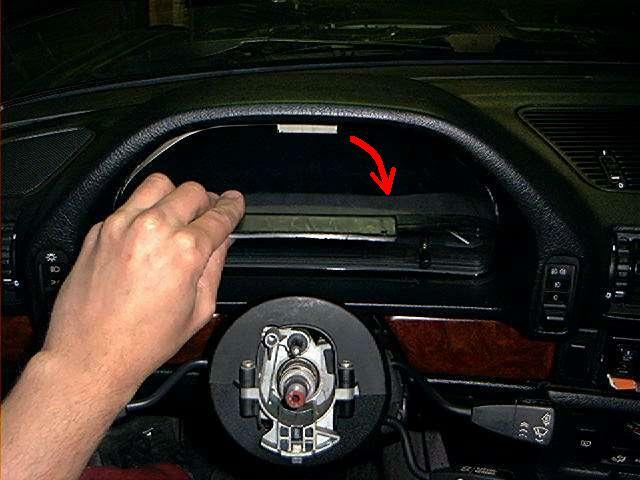 you can now remove the instrument cluster right out the front. 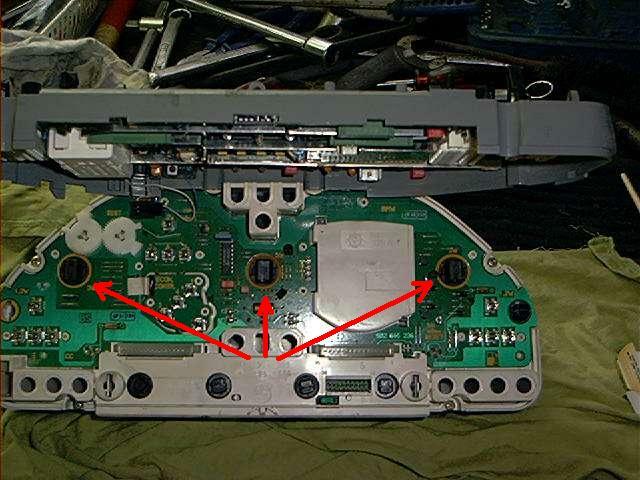 There are only two Phillips screws holding it in place on the underneath on the top. 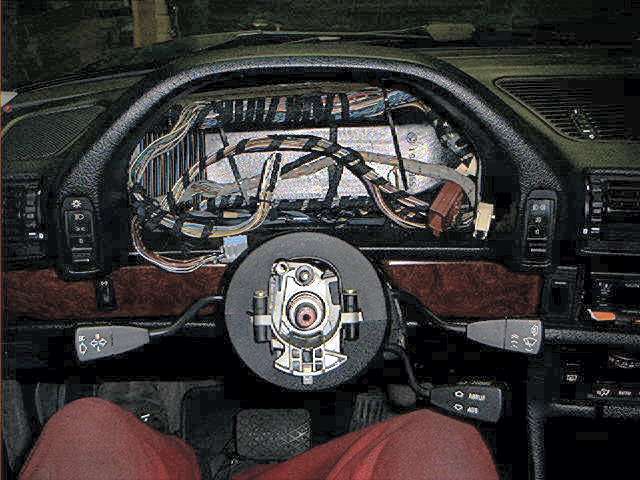 leave the steering wheel and try to remove the cluster with the steering wheel installed. It can be done, but it's a bit of a hassle. 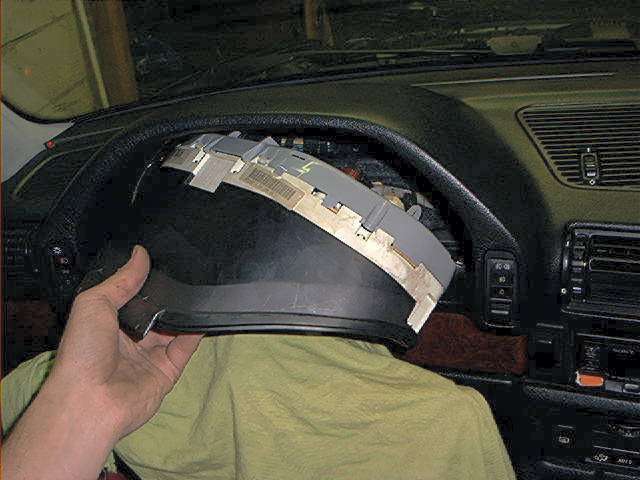 "You state that my page is the long way and dropping the column is the short way....Since i work on cars for a living and have done it both ways, I can tell you without a doubt that its quicker and easier to pull the airbag and steering wheel than it is to remove the lower cover and drop the column. Always, every time... 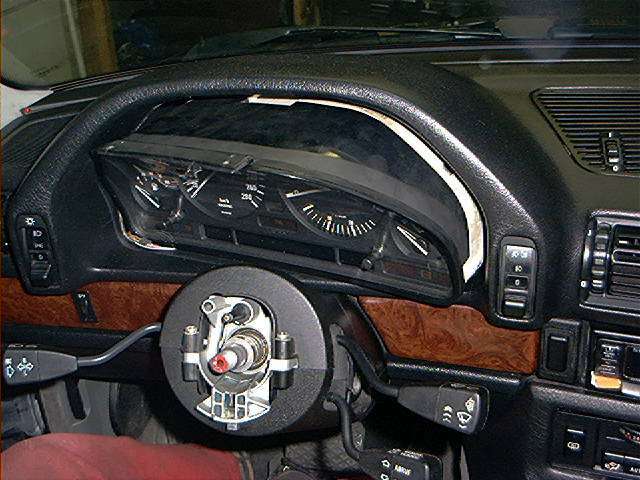 Both ways the battery must be disconnected so there's no time savings there"
On my older 5 series I didn't remove the steering wheel to remove the cluster, and after a couple of times it gets easier to do. 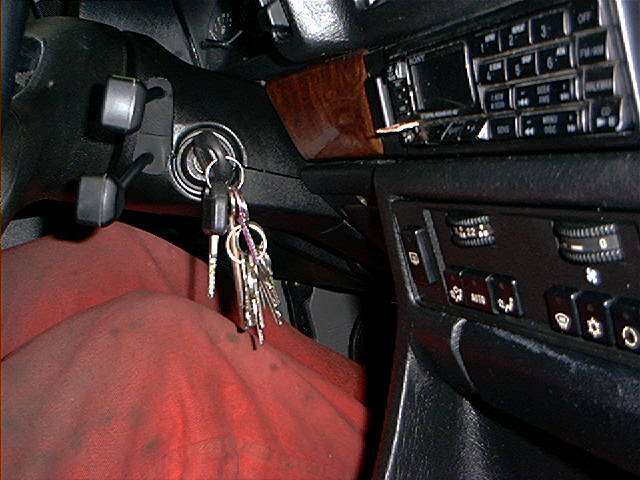 I didn't remove it because I thought I need a puller or something to remove the steering wheel. 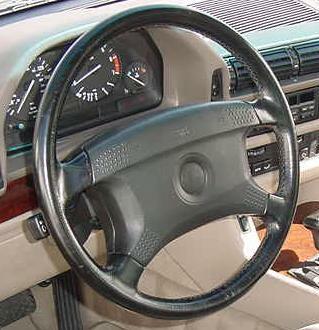 On most of the cars I know of, the steering wheel is mounted to the steering column with a tapered joint with splines, making it sometimes very difficult to remove it. Well, I can assure you that that isn't the case with our 7 series (and probably all BMW's). 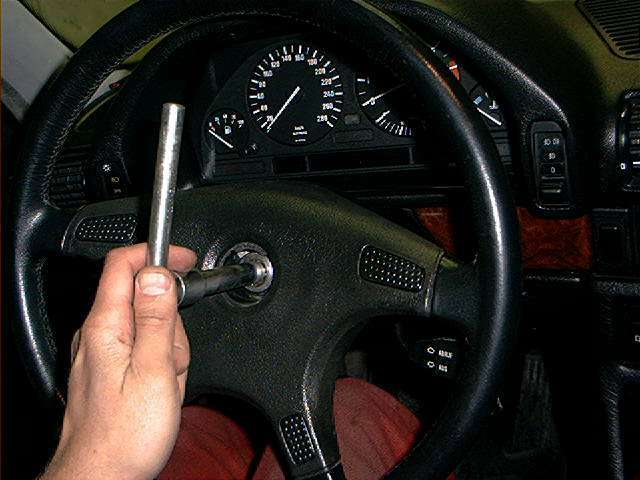 You just need to remove the big self locking 22mm nut and you just pull the steering wheel off. 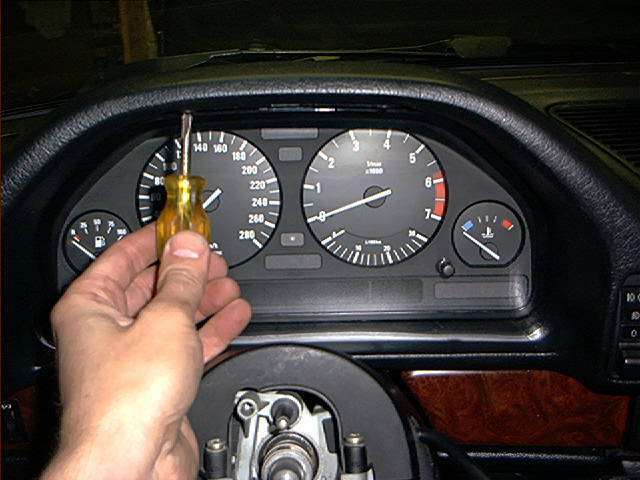 It's that easy and no need to hassle with your cluster through the spokes of the steering wheel. 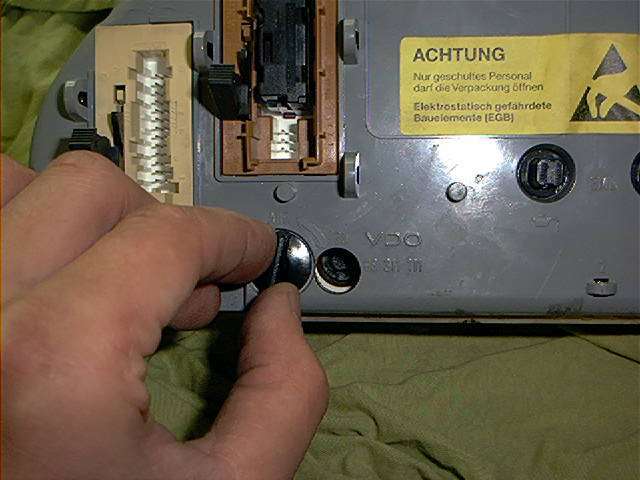 "disconnect the negative post of your battery before starting the proceedure." Reinstalling is the reversal etc. 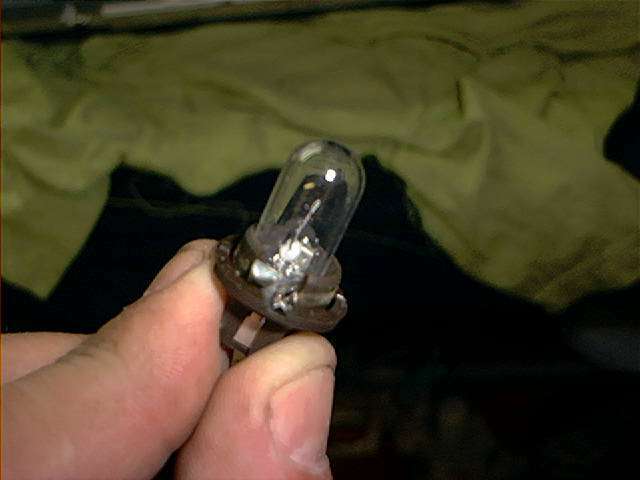 Check the gauge lighting before you reinstall everything, just hook up the connectors at the back and turn the lights on. 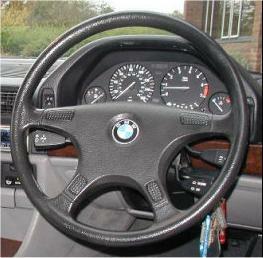 The steering wheel must be tightened at 80 Nm (59 ft-lb). That's about 1 grunt. 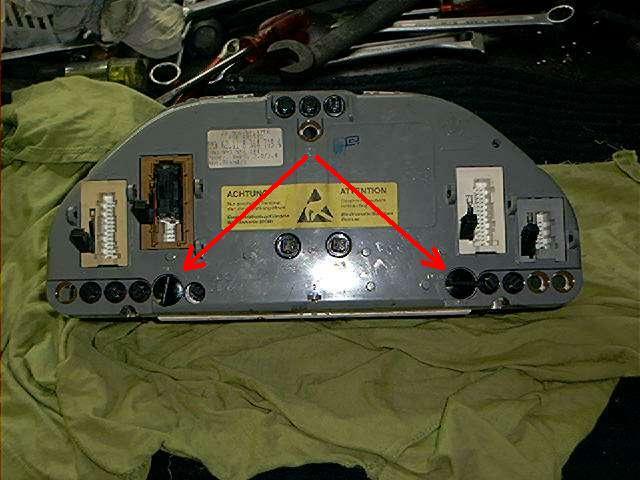 If you would like to add any comments, remarks and/or corrections to this procedure, feel free to email Mike Oswald and we'll put it on our site. Share your experiencies with us so others may benefit from it.